Advancements in Metal Clay–Sterling Silver! 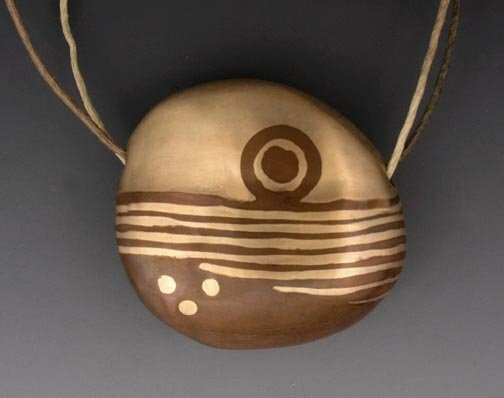 Back in 2003 I was fortunate to take a class from metal clay pioneer Hadar Jacobson. At the time, the only clays available were fine silver and gold. Faster firing and stronger versions of silver clay soon followed. In recent years bronze and copper metal clays have appeared, and Hadar has developed a full line of metal clays herself. Of particular note are the pearl gray steel and white bronze clays she features. The challenge to creating functioning base metal clays is preventing the metal from oxidizing during firing. The solution is to fire in an oxygen reduced atmosphere, which can be created by embedding clay items in a firing container filled with activated carbon. The latest success in that direction has been the successful mixing and firing of sterling silver metal clay. Sterling silver, prized for its beauty and strength was one of the last holdouts, not the least because of the precision with which it must be mixed. To be stamped and assayed as sterling silver, the metal must be exactly 92.5% silver, with the remaining 7.5% usually consisting of copper, but often improved upon with the partial substitution of other metals. Lisa Cain, Director of the Mid Cornwall School of Jewellery in England has announced that she and her staff have successfully formulated and fired sterling clays composed of commercially available fine silver and copper clays. 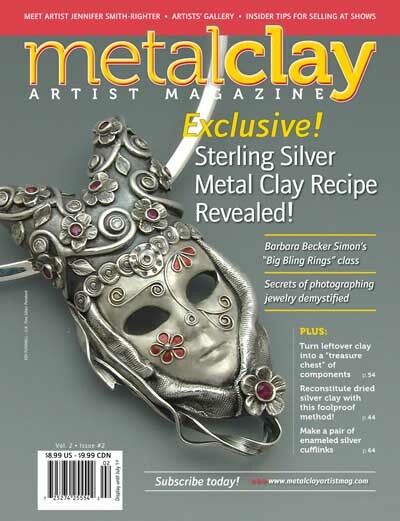 An account of their experiences is published in the April issue of Metal Clay Artist Magazine. Hadar Jacobsen for her part has also published her experiences successfully mixing sterling silver clay. Congratulations to both and many thanks for their efforts moving this exciting field forward.